If you love Ethiopian food and just can’t quite figure out how to replicate that flavor at home, you may be missing the ultimate secret ingredient: Niter Kibbeh! 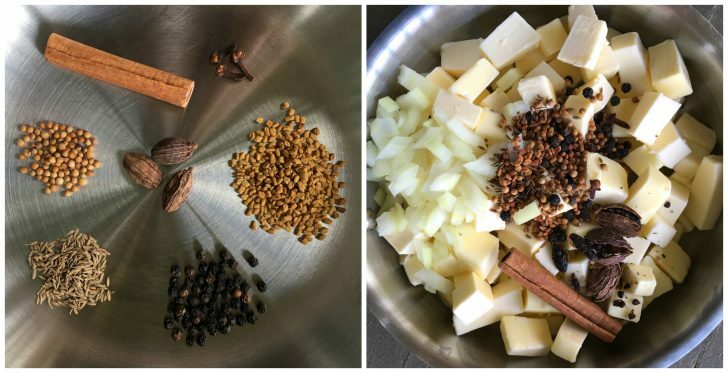 Niter Kibbeh (Nit’ir Qibe) is an ingredient integral to Ethiopian cuisine and is made by clarifying butter that has been infused with herbs and spices. 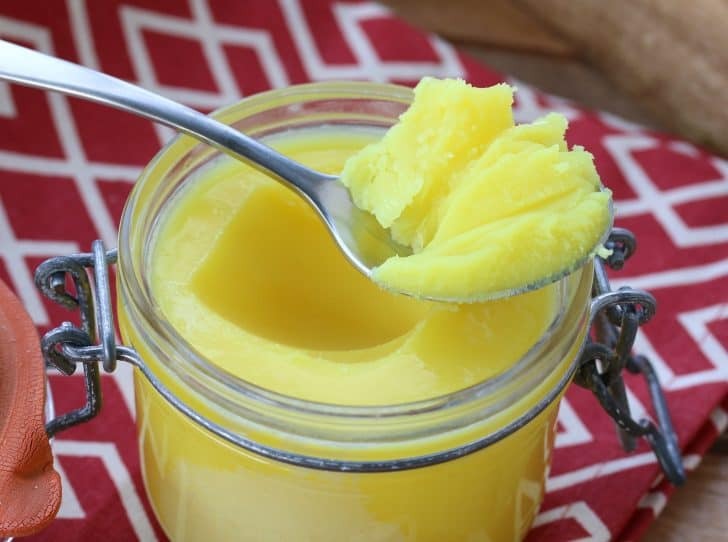 In the process of clarifying the spiced butter, the same process used to make ghee, the butterfat is separated from the milk solids and water and the result is a highly aromatic and flavorful cooking fat. 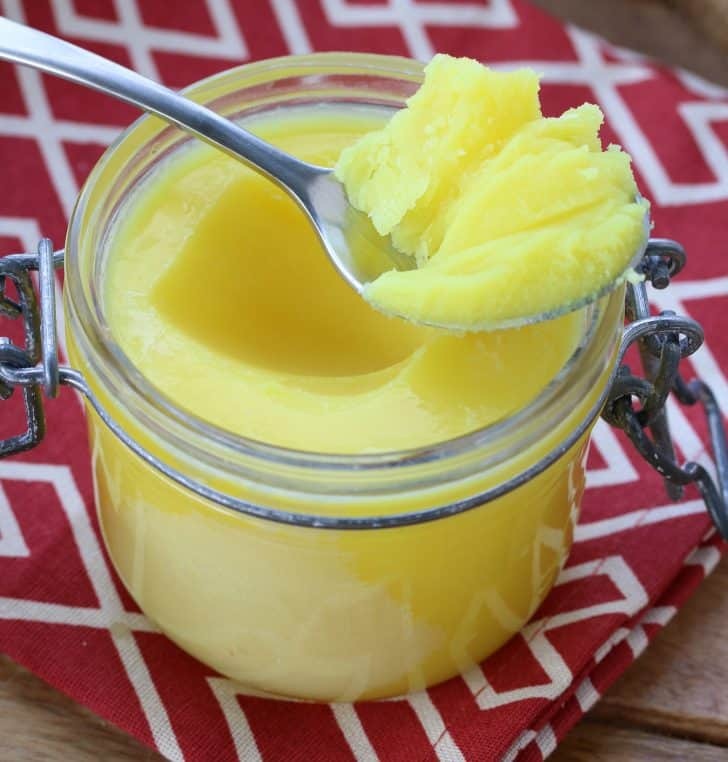 This clarified butter has a higher smoke point and longer shelf life than regular butter. While niter kibbeh is famously used in Ethiopia’s national dish, Doro Wat, it is highly versatile and used to bring life and flavor to a wide variety of dishes. Include a dollop in your favorite stews, your beans and lentils, sauces and gravies, add some to your vegetables and eggs, use it to brown your meat or chicken, spread some on your sandwich…and then sit back and savor your meal. For a truly authentic niter kibbeh you would include two Ethiopian spices that are very difficult to find outside of Ethiopia: Besobela and Kosseret. Besobela is also known as Ethiopian sacred basil though it tastes nothing like basil. It’s also traditionally included in Berbere, the famous fiery hot Ethiopian spice blend. Kosseret is in the verbena family of plants and likewise has a very unique flavor. There are no adequate substitutes for either. If you can find them, use about a tablespoon of each. If you can’t, simply omit them. The resulting niter kibbeh will still be incredibly delicious without them. Another central ingredient to niter kibbeh is cardamom. But it’s not the green cardamom that most of us are familiar with. Rather it’s a type of cardamom that’s much bigger in size and is brown in color, known as korarima, false cardamom and Ethiopian cardamom. And it’s tastes completely different than green cardamom. The bad news is that it’s nearly impossible to find. 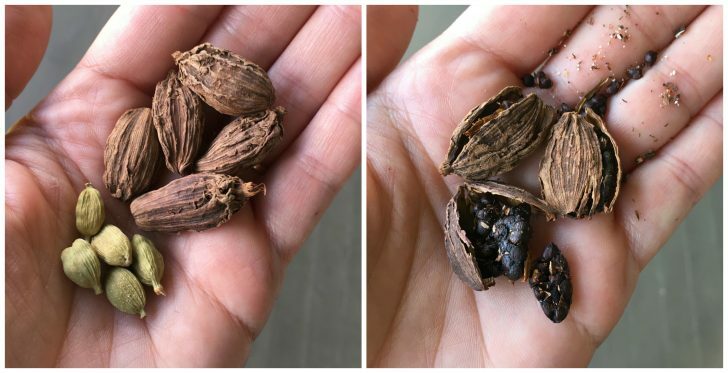 The good news is that you can substitute Indian black cardamom (pictured below in comparison to the more commonly known green cardamom). It more closely resembles Ethiopian cardamom in flavor than does green cardamom and is an absolutely vital spice in Ethiopian cooking. 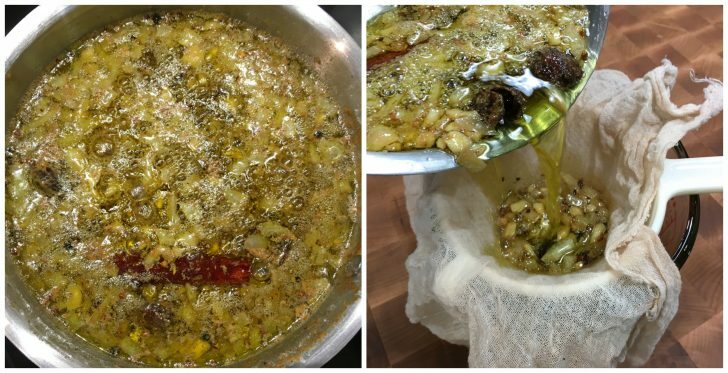 Niter kibbeh is a wonderful and uniquely delicious clarified butter that you will fall in love with. And absolutely nothing compares to homemade niter kibbeh. 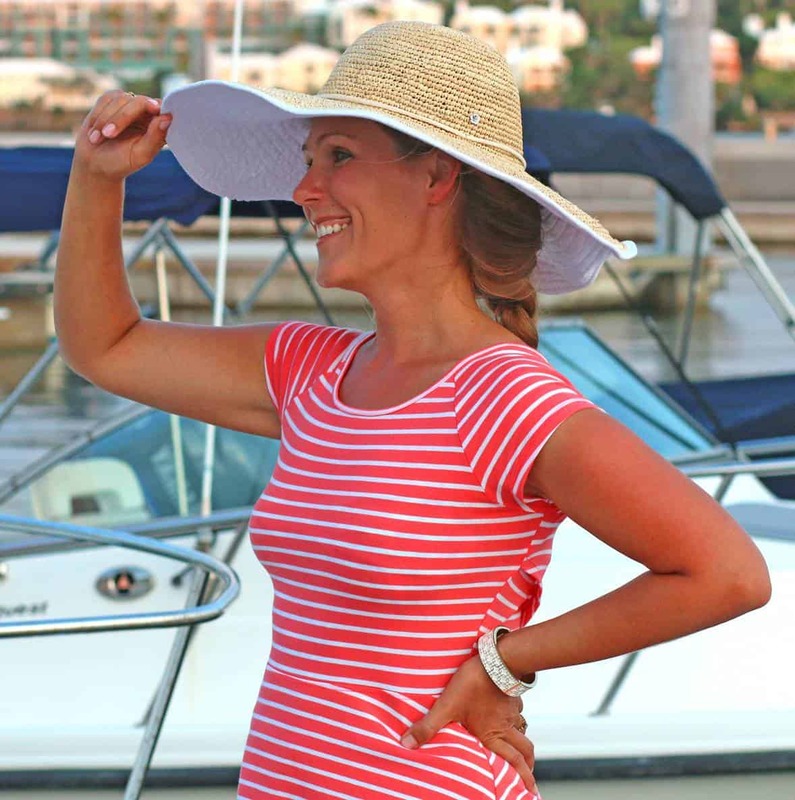 Once you’ve made it (it’s super easy) and tried it (it’s incredible) you’ll make it again and again! Toast the whole spices over medium heat in a dry skillet for a few minutes until very fragrant. Be careful not to scorch the spices or they will become bitter. Place all the ingredients in a medium saucepan and bring it to an extremely low simmer. Continue to simmer over low for at least one hour or up to 90 minutes. BE VERY CAREFUL NOT TO BURN THE BUTTER. If it burns it will be bitter and there is no salvaging it. Pour the niter kibbeh into a jar, let it cool, cover so it is airtight. You can store it at room temp for several months or even longer in the fridge (it will be hard in the fridge, let it come to room temp for easy scooping). Makes about 2 cups. Toast the whole spices over medium heat in a dry skillet for a few minutes until very fragrant. Be careful not to scorch the spices or they will become bitter. Set aside. Pour everything through a fine-mesh cheesecloth. (No need to skim off the foam, everything will be removed during straining.) Pour the niter kibbeh into a jar, let it cool, and cover so that it is airtight. You can store it at room temp for several months or even longer in the fridge (it will be hard in the fridge, let it come to room temp for easy scooping). Makes about 2 cups. This sounds so flavorful! Love all your suggestions and recommendations for the ingredient list. Such a must have ingredient! Can’t wait to try this! Thank you for all the step by step instructions and pictures. I really feel confident to make this now. I’ve never heard of this before, but it sure looks amazing!! 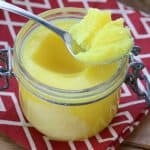 I love make clarified butter, but I never thought to spice it. I can not wait to try this. This butter sounds amazing! Definitely worth a try! 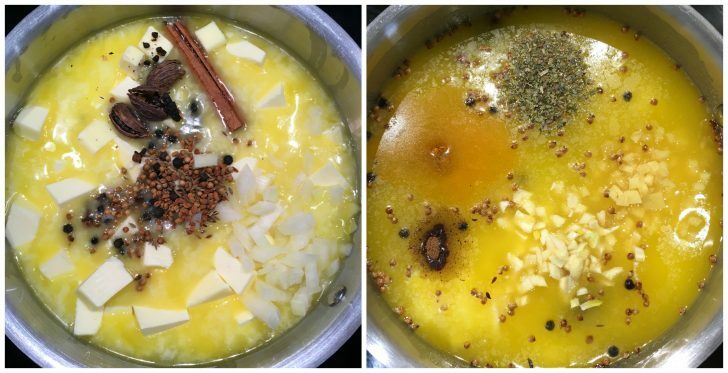 We just started making clarified butter a few months ago at home but I’ve never infused ours with herbs and spices! Gotta try that! I’ve never heard of this before but it sounds amazing! This looks so easy to make! Definitely no excuse not to make this. Thanks for sharing! SO easy to make! I can’t wait to try it! Love how easy this is! Sounds tasty! Absolutely phenomenal! I didn’t have the besobela or kosseret but no matter because it tasted incredible without. My kitchen smelled heavenly while it was simmering. Thank you! I often make clarified garlic butter but it never occurred to me to add anything else. Silly me!! This sounds absolutely wonderful and I can’t wait to get going. Will try to find the unusual spices as well. Thanks for the idea. I agree, Mary, clarified butter lends itself perfectly to a wide variety of flavor profiles. Rosemary-garlic with lemon zest is a recent combo I tried that I really like. How lovely, I shall try that one too. I’ll end up with lots of pots of different clarified butters in my fridge. What fun! This differs from Ghee only in the use of spices. Ghee keeps on the counter almost infinitely. Why would this need refrigeration? Hi Bob, yes, it’s the same process as ghee. And yes, you can keep it stored airtight at room temp but most sources agree that it will keep even longer if stored in the fridge. 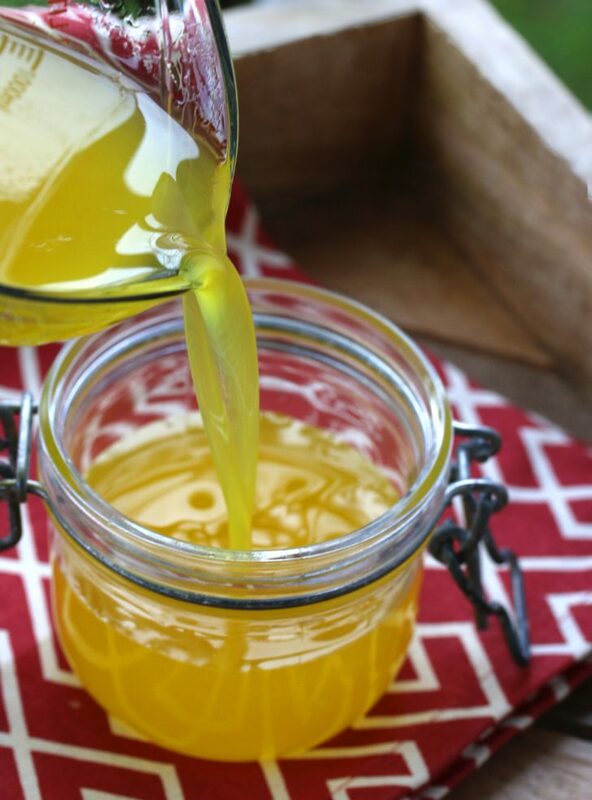 I’ve kept ghee as much as 3 years without issues. 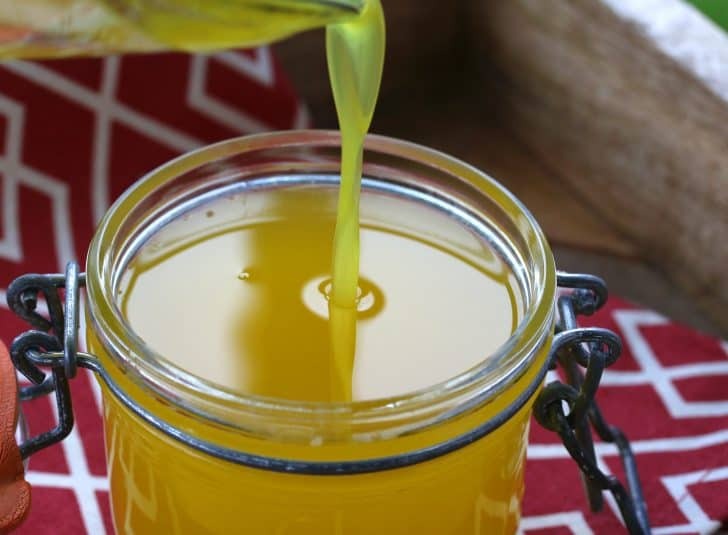 Ghee isn’t made with raw onion and garlic and it’s the inclusion of those perishables (their juices) that I’m unsure about in terms of really long-term storage, especially at room temp. Good job, your details is great for Ethiopian secret ingredient (Niter Kibbeh!). I am glad that you are sharing my traditional courses (Ethiopian food). I really love to get know you more because I am a cook myself. Now, should come to visit the Faroe Islands who knows you might find something you love to share. Intoxicatingly delicious, the aroma that filled my kitchen was out of this world! Thank you for sharing this fantastic recipe! I’m so happy to hear that, Shawn, thank you! I ordered a jar or niter kibbeh online because I wanted to try to recreate an Ethiopian dish that I ate at a theme park. When the shipment got delayed to October, I went online to hunt for recipes and came across this one. I actually spent $30 to order the besobela and koseret online. Made my first batch of niter kibbeh last week, and I open the jar and sniff it every night when I get home from work. My jar of pre-made niter kibbeh actually arrived early, but the smell doesn’t even come close to the one that I made using this recipe. I used it again last night to make a lentil soup, and it was outstanding. Good thing that I ordered those big bags of herbs, because I think I will be making a LOT of this from now on. I’m thrilled to hear that, Kay! It’s so true, absolutely nothing compares to homemade. I still have some left in my fridge from a large batch I made over 5 months ago and it still smells and tastes as wonderful now as it did then. Thanks so much for the feedback! May I ask where you found besobela and koseret online? I can’t find it anywhere. Joe, I link to both ingredients in my recipe. Ah. It’s in the recipe itself! Thank you. I’ll be sure to let you know how it turns out. And thank you for the recipe(s). You’re welcome, Joe, I hope you enjoy it! Hi. Another question please. It looks like, in the pictures, the besobela and kosseret were added after the butter has melted. Is that the case? And are they ground? I’m used to at least “grinding” herbs between my palms to release the flavors. Thank you. Hi Joe, no, I simply forgot to add them before the butter melted in time for the photo ;) It makes no difference in flavor whether they’re ground or rubbed – either way their oils will be released. Thanks again. Almost ready to go! I wonder, do you have or can you recommend a recipe for Ye’abasha Gomen aka Gomen Wat or Ethiopian collard greens? Hi Joe – Eating Well Jan/Feb 2018 has a great recipe. In the past week I’ve made it twice. I even substituted Swiss chard greens for the collards (had them left over from a Lebanese chard stalks recipe – also Eating Well). I think if you Google Ethiopian Collard Greens and look for a recipe from Eating Well you will find it. It’s also great using sumac. Ate it 4 out of 5 nights at work! Very versatile. Thank you. I’m sure I’ll find one and be able to modify from there. Thanks. Easily made and great results. I’m already starting to make some more. Thank you! Fantastic, Joe, thanks so much for the feedback! Hi Joachim, yes, korarima is the traditional “cardamom” used in Ethiopian cooking and is similar to Indian black cardamom. You can simply replace the black cardamom with the same quantity of korarima. Is there any way you can post a video of the “extremely low” boiling of the butter? I want to just try it but I fear I will burn the butter without some sort of visual. There are calories (whatever a kcal is) but no size per calorie.